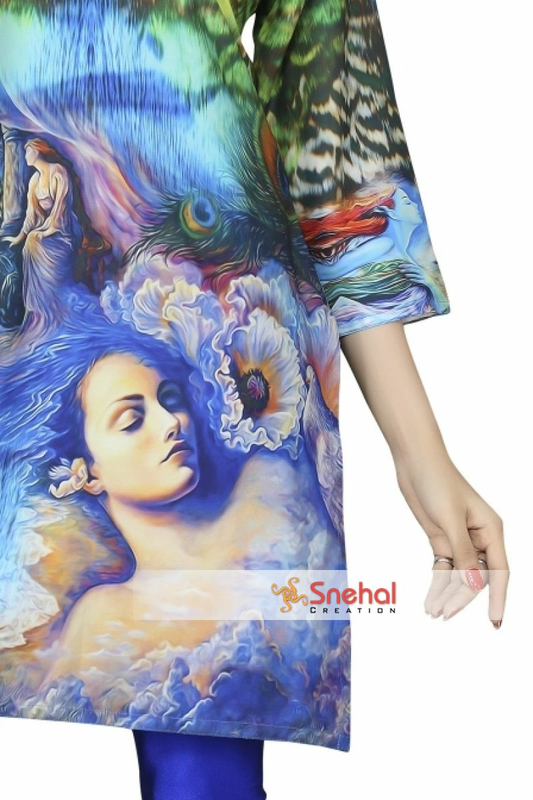 Going casual and going stylish are synonyms when you wear this Graceful Digital Print Tunic with Abstract Print Design brought to us by Snehal Creation. 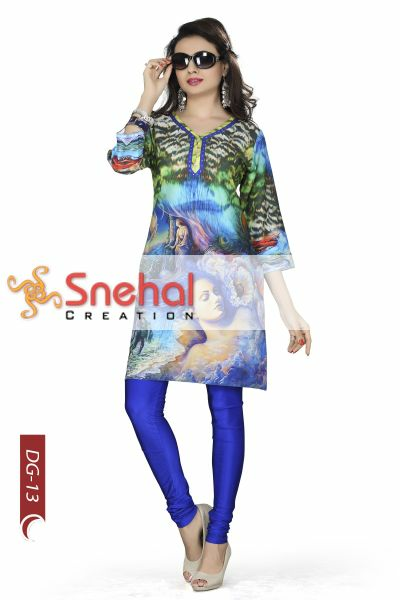 The short kurta is an amalgamation of varied prints geometric, figurative and otherwise. The round neck of the kurta is designed to have a same coloured taping with a buttoned front panel. This chic piece of clothing is a perfect comfort day wear that can be paired with any lower option. Get ready to adorn yourself in this free-spirited attire now.